Vegan eggnog for a vegan Christmas! A rich and flavorful dairy-free and egg-free recipe for vegan egg nog (or eggnog) suitable for the kids. Egg nog is a traditional Christmas holiday drink, and you won't miss the eggs with this delicious homemade vegan nog recipe. 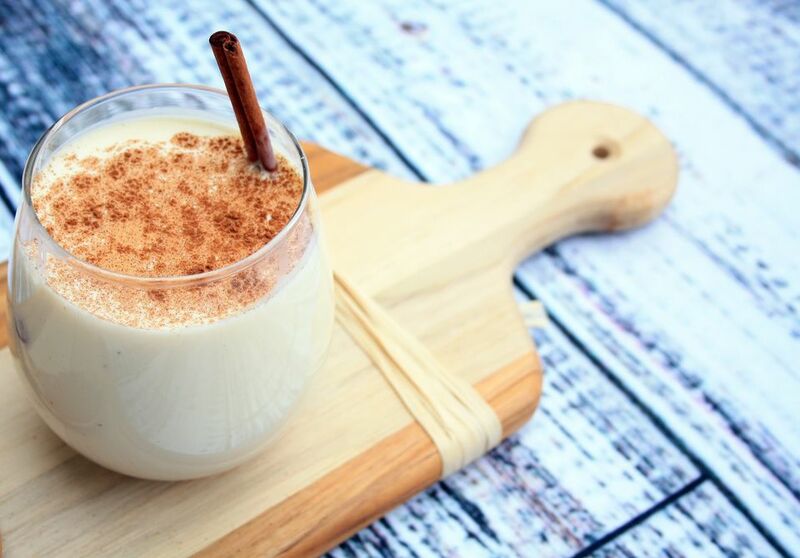 Spice up your homemade dairy-free nog with rum, brandy or whisky, if you'd like. Enjoy! Whisk together half of the soy milk and instant pudding until thickened. Add the remaining soy milk and the cream and mix well. Add the remaining ingredients, except cinnamon. Allow to chill overnight before serving, and sprinkle with cinnamon just before serving. Enjoy your homemade vegan eggnog!